ClearPath Foundation, a non-profit organisation that specialises in developing policies and research that supports clean energy initiatives through small government, free markets and American innovation will visit NETL in Morgantown, West Virginia, Tuesday 4 December to learn about the Laboratory’s work on carbon capture and storage, solid oxide fuel cells, systems engineering analysis, chemical looping and hybrid performance – technology research areas with potential for advancing clean energy innovations. 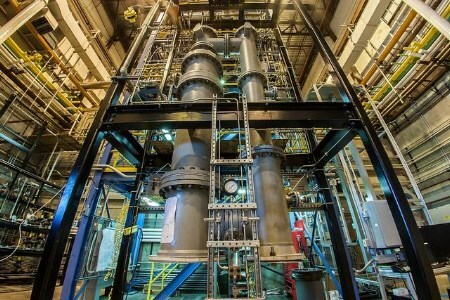 According to NETL Director Brian Anderson, Ph.D., in addition to advancing public policy initiatives in support of clean energy initiatives including carbon capture and storage research, ClearPath has helped fund the National Carbon Capture Center in Wilsonville, Alabama, which works to accelerate the commercialisation of advanced technologies to reduce greenhouse gas emissions from both natural gas and coal power generation. NETL has a history of working with the Center to install and evaluate promising carbon capture technologies for scale-up and future commercial deployment. The Laboratory’s carbon capture research facilities. Carbon storage research activity areas. The Solid Oxide Fuel Cell Experimental Laboratory. The chemical looping reactor facility. The ClearPath delegation will consist of Jeff Morehouse, government affairs director; Sha Smith, government affairs associate; Spencer Nelson and Justin Ong, policy associates; and Faith Smith, policy analyst. Anna Siefken, executive director of The Wilton E. Scott Institute for Energy Innovation at Carnegie Mellon University will also be a part of the NETL visit.